Shuffle Bean believes you will love its product, so we’re inviting you to put our coffee to the test against your very favorite other brand. Take a cup of Shuffle Bean Coffee and a cup of your choice of coffee. Sip each coffee while hot. In between sips, swish water around in your mouth to clear your palette. Then, let the coffee cool. This is the important step in the taste testing. It is only when coffee cools that it’s true flavor comes through. If you still like your coffee better, we’ll give your money back. Shuffle Bean Coffee is a special blend of Arabica beans shade-grown in the fertile Tarrazu Region of Costa Rica. These rare beans, nourished on rich volcanic soil, are among the world’s most flavorful and aromatic. Shuffle Bean Coffee is from Rainforest Alliance Certified farms, helping protect the environment and ensure sustainable livelihoods for coffee-growing communities. Like our 12 oz. bags, our frac pacs also have small vents to allow carbon dioxide to escape from the bag, but the one-way valve prevents oxygen from getting into the frac pac, which would stale the coffee. 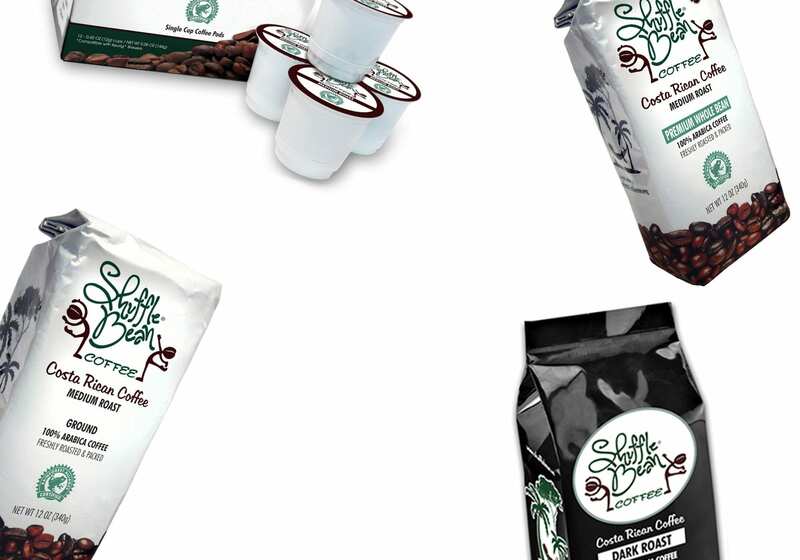 Shuffle Bean is regarded as a superbly balanced coffee with flavors of tropical fruits and chocolate. Our medium roast has a heavy body, high acidity, and a sweet finish with no presence of an aftertaste.